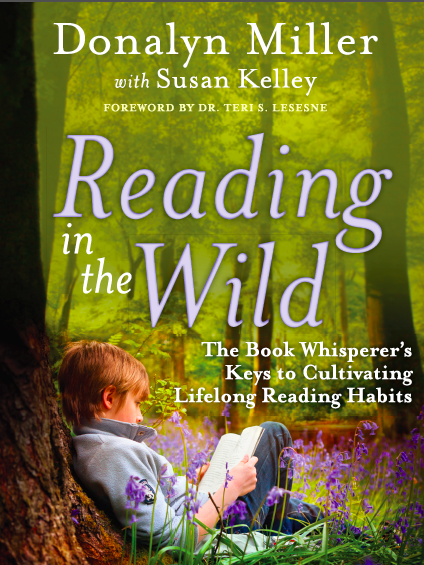 We are thrilled to announce Reading in the Wild by Donalyn Miller as this year's #cyberPD title! 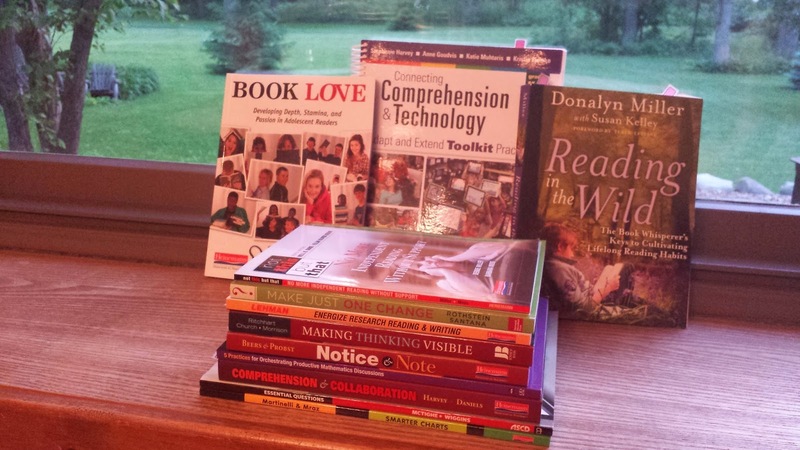 It appeared on many summer professional reading stacks that have been tweeted out in the past week. Each week, we'll read and post our reflections. All you'll need to do is share a link on the host blog for the week. It's also really helpful to tweet out your link using the #cyberPD hashtag. We'd also ask that you stop by and comment on at least 3 other reflections each week to help grow the conversation. Feel free to be as creative as you'd like when sharing your thoughts and reflections on the book! Having your own blog isn't necessary in order for you to participate, so don't let that stop you. Or... use this as your excuse to get your own professional blog up and running! This event is a fabulous way to get traffic flowing on your site. Thanks to the amazing Mr. Schu for premiering this book trailer with the world back in November! It will give you a glimpse as to what we have to look forward to in July. I'm super excited to dive back into Donalyn's latest book and to learn from each and every one of you! Happy reading! It's that time of year when we all start pulling together the professional books we'd like to read as we reflect upon the year we just finished and begin dreaming about the year to come. Cathy Mere, Michelle Nero, and I would love to see which books have made it into your stack this year! 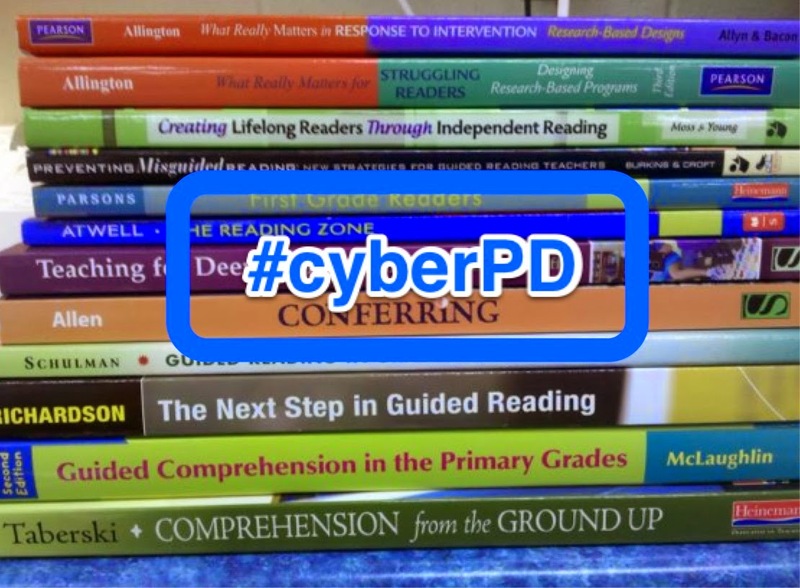 We're asking people to post a picture (or link) to Twitter using the #cyberPD hashtag by this Saturday, June 7th. Once we see what people are planning to read, we're hoping to make a decision on which book we'll feature for this year's CyberPD event. We'd love to be able to make an announcement on Sunday, June 8th, to give people plenty of time to purchase their books before we kick off the event in July. More specific details will be shared in the coming weeks! We hope you'll join in the conversation! To read more about the CyberPD event and its history, please visit THIS POST by Cathy Mere.